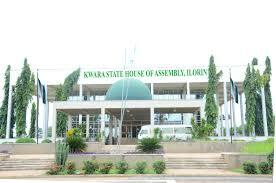 Kwara Assembly invites the Commissioner, KWARTMA general manager on collapsed bridge – Royal Times of Nigeria. 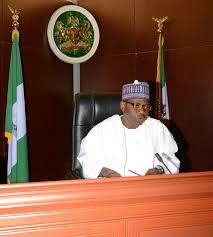 The Kwara State House of Assembly has directed the house expanded committee on Energy, Works and Transport, to invite the State Commissioner for Works and Transport, Alhaji Aro Yahaya and the General Manager, State Road Maintenance Agency, to explain what can be done, to ensure quick construction of Buka Bridge, along Jebba- Adena road, in Moro Local Government Area of the state. This followed consideration of the report on the, On -the -spot – Assessment visit to the collapsed bridge, presented by the Chairman, House Committee, on Energy, Works and Transport, Hon Mathew Olaitan Babaoye. The Speaker, while directing the expanded Committee to submit its report within a week, suspended further consideration on the report, pointing out that the appearance of the two officials, will address many burning issues on the collapsed bridge. Meanwhile, the State Governor, Alhaji Abdul Fatah Ahmed, has forwarded a bill seeking among other, provisions to establish Customary Court of Appeal in Kwara State. The Bill contained in a message by the Governor to the Speaker, read at the floor of the House, said the Court shall have jurisdiction to hear appeals from Area Courts and Upper Area Courts in the State.